Software Paradigms International Group, LLC (“SPI”), a global IT services and solutions provider for retailers announced a major addition to its mobility capabilities through a merger with Softvision Consulting LLC, a large global provider of product development and software engineering solutions in the mobile development space. Software Paradigms International Group, LLC (“SPI”), a global IT services and solutions provider for retailers around the world headquartered in Atlanta GA, announced a major addition to its mobility capabilities through a merger with Softvision Consulting LLC. Softvision is a large global provider of product development and software engineering solutions in the mobile development space. Through this strategic combination, Softvision will become a key addition to SPI’s Digital Platform, which already has significant capabilities in eCommerce and related technologies. “The addition of Softvision pivots SPI firmly in the direction of mobility and eCommerce… areas that retail tech executives have been demanding from us in the past few years. With Softvision, we will be able to take these cutting edge solutions as well as agile development methodologies to our clients, accelerating their transition to true omni-commerce,” said Sid Mookerji, SPI Global CEO. SPI and Softvision will also extend their offerings by seamlessly consolidating services and providing their blended client base with strategic and innovative offerings within this highly competitive environment. "Our customer lists make up a top notch roster of world class companies with both global retailers and top tech names. The value proposition for combining these two highly successful software development companies is compelling,” continued Laurentiu Russo. 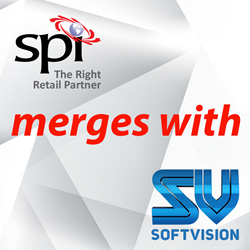 The Softvision merger is the largest in SPI’s history. This combination will leverage and harvest the best software engineering talent around the globe with combined resources of over 3,000 developers, engineers and IT professionals in North America, South America, Europe, Australia and Asia. With the addition of Softvision, SPI is poised to accelerate its growth and immediately grab additional market share in the high-growth global retail eCommerce and mCommerce software development sphere. Established in 1994, SPI is an award winning IT services and solutions provider for retailers around the globe. From retail expertise, retail technology products, and IT services through to supplier collaboration, SPI delivers high quality outcomes for its clients. SPI's mission is to be The Right Retail Partner. SPI is headquartered in Atlanta, GA with offices in Australia, Brazil, Canada, Singapore and development centers in India and Nepal. SPI assists retailers transform the retail value chain from silos to customer centric Omni-Channel agile organizations. SPI offers complete IT solutions and services to global retailers, including mobility, eCommerce, integration, consulting, merchandising, analytics, vendor management, and infrastructure. For more information, please visit http://www.spi.com. Established in 1998, Softvision is a leader of software product development services within Silicon Valley and United States. With over 1,200 development engineering resources and over 80 clients, Softvision provides a unique business model that delivers high value to their clients in highly competitive industries by accelerating innovation. For more information, please visit http://www.softvision.com.